Bykland > Blog > Blog > Wet or Dry – Common reasons for not starting a bike! Thinking about a ride is excited and enthusiastic but could be more frustrating and disappointing if your bike won’t start. At this point you have two options, either to go back in your room, sit and watch TV or just think about troubleshooting the problem. Sometimes, trouble shooting can just be a piece of cake if the problem is quite obvious was laying on the surface like, your key is on but there is a kill switch which is on ‘off’ position not allowing to start bike or fuel tank is empty but you are not aware of it etc. However, before you decide to rush into the deep troubleshooting, you must be aware of the fact that motorcycle needs three main things to be on the road which are Plug spark, Fuel/Air mixture and Compression. If any of the these elements is not in proper shape, your bike will run rough or won’t start at all. We need to breakdown these elements to figure out real cause not allowing to start your bike. Troubleshooting of electrical problems is more frustrating thing for everyday riders. Sometimes, electrical issues are very easy to resolve or have to take services of professional electrical experts otherwise if the problem is laying too deep to rectify it manually. Spark plug is responsible to deliver current to the combustion chamber of ignition engine and maintains combustion pressure within the engine. So, spark plug is a great initial place to start and check engine spark. To test your spark plug, remove it from the cylinder head and plug back into the plug cap. Now, hit the bike kick lever keeping the plug near head bolt or any other metal and check its spark. If the sparks are weak or no spark at all, it means plug needs a replace but if the sparks are good otherwise, you need to investigate it further. Closely observe plug wires or plug cap and if any of the one is culprit, you can catch them fairly fast. And if good, the next elements to check are Ignition coil, Capacitor discharge ignition box (CDI box) followed by rectifier and other related components. The hook connections are main focus while investigating the elements and make sure they are hooked tightly. The fuel can add its role in making the starter harder if your bike stays for long without being used. Actually, the long staying fuels lose its octane with the time if not properly stabilized and give hard time during combustion. The whole fuel system can be dried out with the prolonged rest period and if so, check your fuel lines and make sure that carburetor or throttle body is getting proper fuel. Well, if the bike gets started on the starting fluid, it usually helps draw fuel through fuel system. Fuel flow can also be restricted by clogged tube coming from you fuel tank. Another possible reason being an hurdle in starting your bike might be the flooded engine. 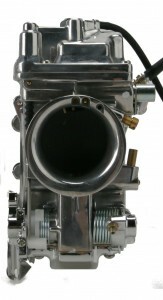 This type of engine can be un-flooded by turning over its motor (until fuel is dissipated) after removing its plug and turning off its choke. If starter problem is still persisting you may want to look some other elements involving fuel flow. These elements may include carburetor, loose or broken vacuum line. The green gunk or fuel left overs can block jets. so, cleaning the carburetor is very essential to bring back the proper working air/fuel mix ratio. On the other hand, loose or broken vacuum line can also cause too much or too little air drawn into the combustion chamber which will not allow the engine to ignite mixture properly. This is final and most expensive test so must be catered at the end of all tests mentioned above. If one or all of the cylinders of engine have low or no compression at all, your engine will not ignite properly. Cylinders duty is to compress air/fuel mixture to a level where it becomes combustible and without this compression level, mixture will not ignite. The possible causes of low compression are worn out piston rings, crank steal or head gasket. Fixing these elements require more advanced technical expertise and some deep working knowledge of these devices. We hope some of the hacks will help you bringing back the bike on road. It is recommended that you don’t leave your bike in your garage for long and try to spend some time (though little one) with it to keep it running properly.